Offering superior products designed, produced and delivered from our facility in Grand Junction, Colorado. The future of elevator parts and design, built by Rocky Mountain Elevator Products. It is our commitment to our customers to be nothing less than honest, affordable, reliable, professional, and prompt and do business with the highest integrity. These are not just words, but rather it is how we think and what inspires us to build lasting relationships with our customers and each other. Being based in Grand Junction, on the Western slope of Colorado, the twenty-member team Rocky Mountain Elevator Products currently employs enjoy remote small community living. Western Colorado’s picturesque landscape between Salt Lake City, Utah and Denver, offers a wide variety of outdoor activities including world famous mountain biking trails, ski slopes, hiking, fishing, hunting, whitewater rafting and many other outdoor adventures. Its nearby mountain ranges have provided the backdrop of many movies over the years, making the surrounding areas familiar even to strangers. This seemingly remote location has an oddly global reach and many manufacturing companies call Grand Junction home. Rocky Mountain Elevator Products is the vision of John Ray, President and CEO. He has held a QEI license and type 1 commercial mechanic license in two states and with the knowledge gained in over twenty years as an installer, service tech, and business owner has led up to the creation of RMEP. “We still run and operate our local elevator service company, Colorado Custom Elevator & Lift and will continue to do so. It’s where we get our best feedback on the products we develop. Our techs have hands on experience with the products and this allows us to have a vertically integrated company.” Every detail has been worked out because we see the same issues our customers see every day. This in-the-field knowledge offers our customers a great first time experience with our products. 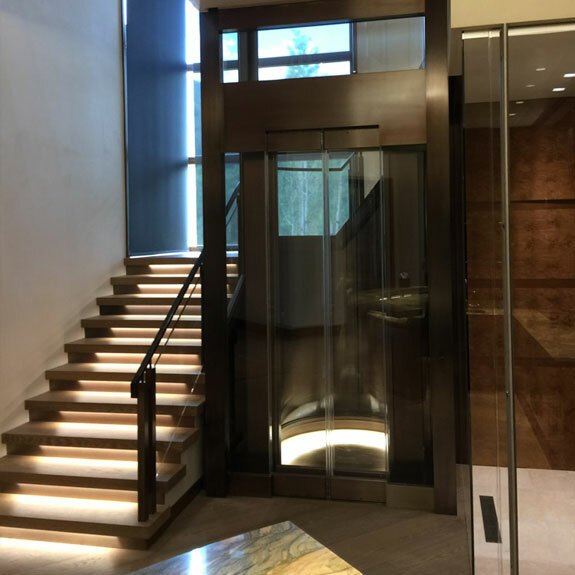 After decades of personally installing every brand of home elevator, John Ray could see it was time for a new safer and innovative product. This idea turned into the core of RMEP’s mission statement. 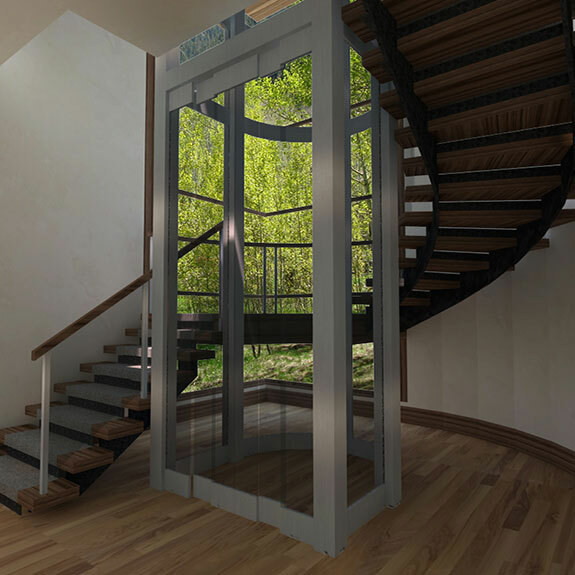 Originally, we saw the need for a safer, better built door interlock in the home elevator industry. We all have seen far too many unsecured doors and disabled elevators due to plastic parts and broken locks with damaged micro-switches in the field. We feel that this component of the elevator should be one of the most robust components, as it projects the durability and safety of our products. The door interlock is the first line of defense in both liability and the homeowner’s safety. With that in mind the SMARTLOCK was born and is now our best-selling product. The SMARTLOCK’s innovative design allows left or right handing changes in the field just by flipping the cover of the lock, no other parts need to be changed. This feature alone is a major timesaver by cutting out additional trips to a job where the door swing was changed. SMARTLOCK’s unique safety contacts make it micro-switch free and provides the safest protection your company can get in an electro-mechanical lock. Getting companies to make a change and try new products has been our biggest challenge, but once they do, there is no going back. When the economy slowed down over the past few years we took advantage of the extra time to work on structure, product documentation and product support tools. This time also allowed us to upgrade our existing facilities and building a 13,000-square foot addition. With our new facility up and running we are ready to leap to the next level. We are expanding our product offerings to dealers all over the world. We feel the industry needs a supplier that understands the dealer’s problems, liabilities and growth issues. We know they want new and innovative options that look forward and will give them a competitive edge. Being able to train newly hired technicians quickly and effectively as their company grows in expanding market is extremely valuable. Having to train a technician to be efficient on one rail and controller and then again on another style with many components that are specific to each and are not interchangeable has been a real challenge even in our own company’s experience, and that has driven us to simplify the differences between the systems. 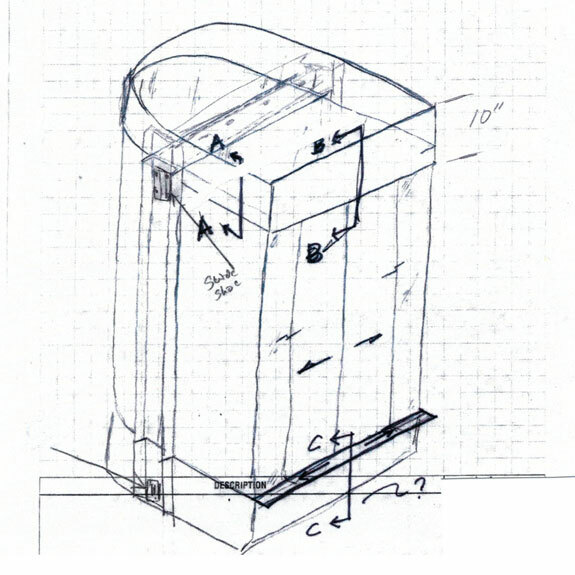 For several years, we’ve been developing a home elevator line that uses the same platform control system, sling, rail and components for use in all our drive systems so that technician’s proficiency in the systems is high and the parts stock needed to service all the systems is low. The system will also accept the use of a variety of car gate options including our exclusive, new 2016 code-compliant wrap gate system that wraps the gate around the outside of car using as little as ½ inches of space. RMEP has also developed a compact, 3 panel car and landing door that we will be displaying at this year’s and NEAC convention in Florida. RMEP is working toward the future for the benefit of everyone. We hope to see you there. 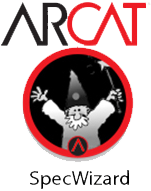 Use the ARCAT SpecWizard! It saves valuable time by generating accessibility code compliant specifications in minutes, using your project specific information.